We are in the Real Estate business for the past 19 years. At Esssar Realtor our aim is to provide personalised and professional services to our clients. 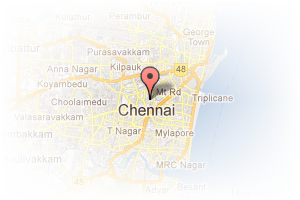 Address: Gandhi Nagar, Adyar, Chennai, Tamil Nadu, India. 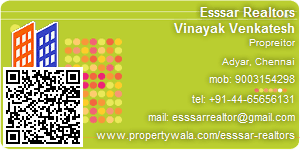 This Broker Profile page for "Esssar Realtors" has been created by PropertyWala.com. "Esssar Realtors" is not endorsed by or affiliated with PropertyWala.com. For questions regarding Broker Profiles on PropertyWala.com please contact us.